Welcome to the home page of Imago Visual Art, Kaleidoscopes by Massimo Strino. 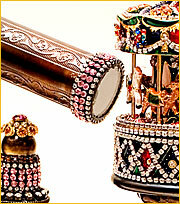 Here you will find information about some of the most refined and sophisticated kaleidoscopes in the world. 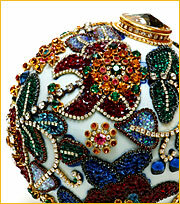 This site was created to give a comprehensive view of Massimo’s handmade creations. Ii's very easy to navigate and you will find information on any kaleidoscope made by Massimo, whether still in production or not. Take your time and browse through the various pages to discover the beauty of kaleidoscopes. There are photographs of the exteriors as well as the mandalas of most of Massimo’s kaleidoscopes. 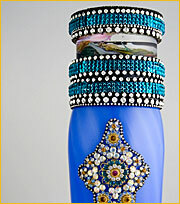 If you are interested in purchasing one of Massimo’s kaleidoscopes please refer to the Galleries page. If your favorite gallery does not carry Imago Kaleidoscopes, contact Massimo directly.